It’s difficult for me to argue with some of the nominees here, but, as usual, there’s some work to do to come up with what should genuinely be considered the five best directorial performances for 1976. Work like John Carpenter’s in Assault on Precinct 13 and Brian De Palma’s for the admittedly overrated Carrier aren’t really snubs if I’m honest about it. 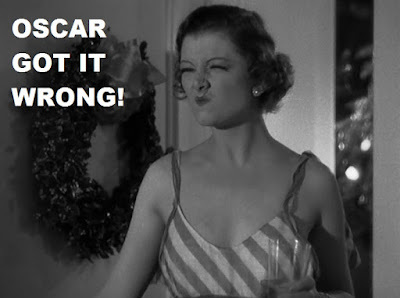 The same can probably be said of Roman Polanski and The Tenant. There are potentially genre issues with John Schlesinger’s Marathon Man, and Clint Eastwood hadn’t “arrived” as a director in 1976, which caused The Outlaw Josey Wales to be ignored. 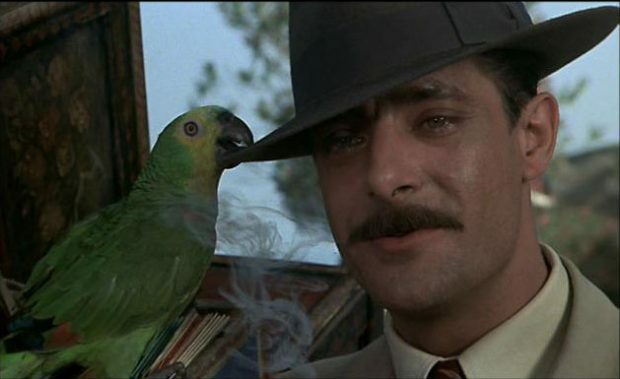 With both Lina Wertmuller and Ingmar Bergman taking the “not in English” spot, we lose both Bernardo Bertolucci for 1900 and Jean-Charles Tacchella’s subtle take on Cousin Cousine. That leaves us with the massive snub of Martin Scorsese and Taxi Driver. Even if you don’t really like Taxi Driver, you have to admit that Scorsese belongs here. 5. Placing Bergman in last feels mildly criminal, but the truth is I wouldn’t have nominated him for Face to Face. I found this to be lesser Bergman, treading the same territory as both Through a Glass Darkly and Persona, and doing it with far less subtlety and nuance. There’s a lot of Bergman I really like, and some that I genuinely love, but Face to Face will never rise to the level of his other films for me. There’s less to talk about here, and for Bergman, that means there’s a hell of a lot less “here” here. 4. 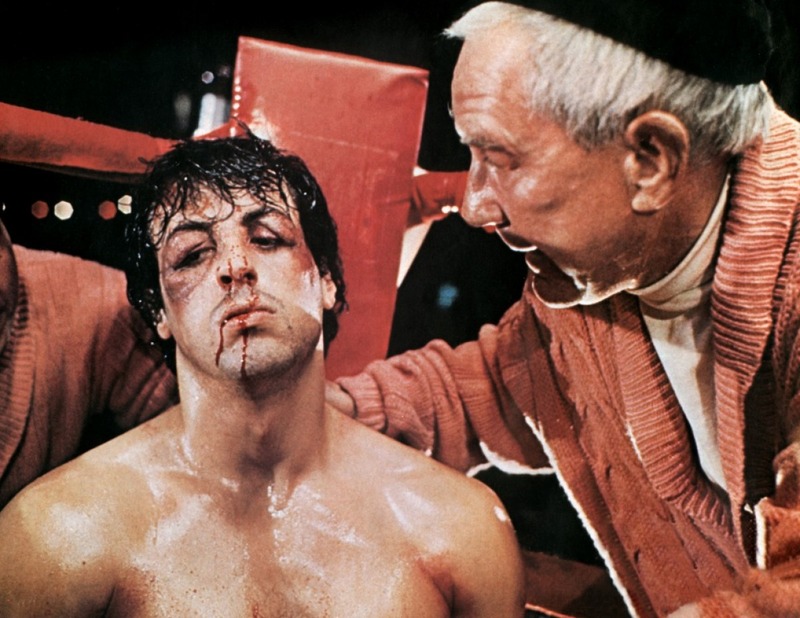 It’s hard not to like Rocky as a movie even if the general consensus is that it didn’t really deserve all of the acclaim it received. I do like the film a lot, and it’s mildly impressive how easy it is to forget that most of the great moments from the film happen in the last half hour or so. The truth, though, is that the big fight scene is in many ways the lowest and least-realistic part of the film. It’s the part everyone remembers fondly, but it’s also the part that I think should have lost Avildsen the Oscar. I’ll give him the run up the steps, though—that’s pretty great. 3. Lina Wertmuller made some interesting choices with Seven Beauties, and while I’m not sure I entirely agree with all of them, I respect and understand most of them. This is not an easy film to watch, but it’s not intended to be, and Wertmuller wants to rub our noses in our own complacency. My biggest issue here is both Wertmuller’s fault and part and parcel with her intent: I don’t really like the film that much and I didn’t enjoy watching it. I’m not supposed to. Like I said, I respect the choice; I’m just not sure I agree with it. 2. 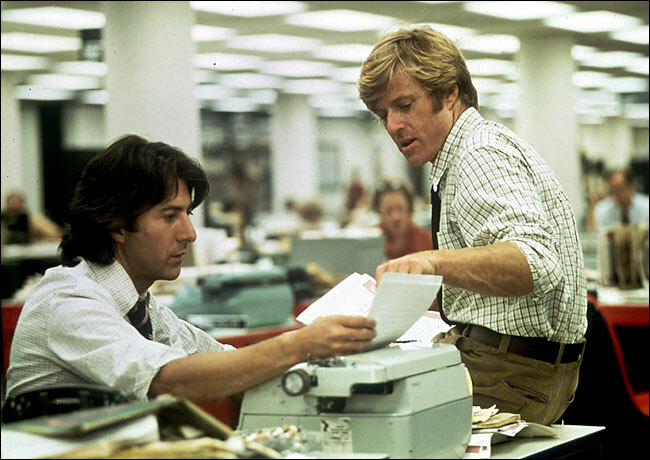 It’s easy to overlook Alan J. Pakula’s influence on All the President’s Men when it is otherwise filled with acclaimed actors and great performances, but Pakula does something here very well. The Watergate scandal was still relatively fresh in 1976, and Pakula manages to make it not merely interesting but suspenseful in a world where everyone knew the ultimate results. That takes skill and finesse, and Pakula was rightly recognized as delivering one of the great performances from the director’s chair for this year. 1. My love of Network has not been unmentioned on this blog in the past. While a great deal of the credit for its quality comes from the performances and the dynamite screenplay, Sidney Lumet deserves a great deal of the credit as well. 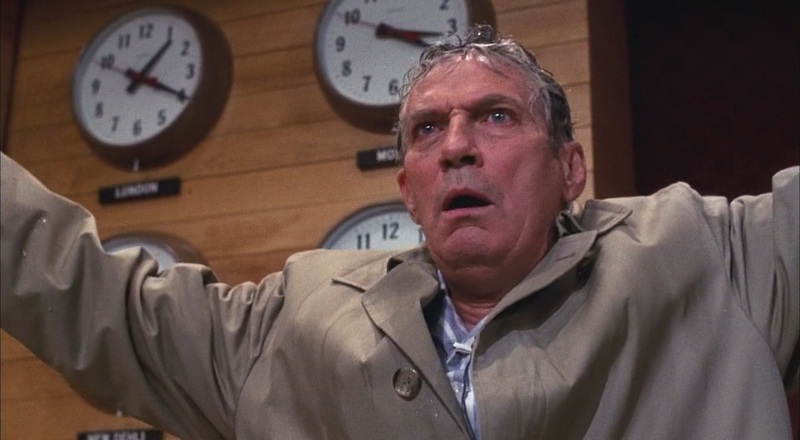 Lumet manages to make Network both wildly insane and completely believable at the same time. It’s a controlled insanity that, by the end of the film, still makes perfect sense despite being light years from where we started. That’s Lumet’s influence and control, something for which he should have been awarded. I have not seen the two foreign films. Within the other three I would switch Rocky and All The President's Men compared to your rankings, as I was never much of a fan of ATPM (and I have not enjoyed too many of Pakula's films as a whole). Regardless, in an open field I would give the Oscar to Scorsese. Other directors worth mentioning: I will always admire Richard Donner's work on The Omen. A rare big-budget, big-star all-out horror fest, Donner delivered many memorable spooky scares. I don't object that much to giving this to Scorsese. In an open field, he'd likely be in second for me, and not hugely behind Lumet. I think I've seen four of Pakula's films, and of them, I haven't really noticed him as a director except for here. I think it's noteworthy that the film still manages suspense despite the fact that there could have been almost no one in the country who didn't know how it turned out. The Omen is a decent possibility. Not sure it would make my top-five, but it's a fine suggestion. One other came to mind...Don Siegel's work in The Shootist. He conjured up a most dignified final farewell for a screen legend. That's one I haven't seen. 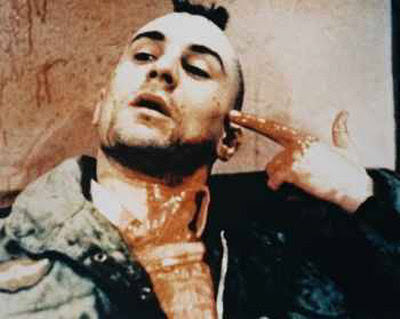 I can't say I disagree with your statement that Scorsese though I detested Taxi Driver it is well composed. I'm not a fan of Network either but Lumet did a good job in the director's chair. I like your suggestions of Bertolucci and Carpenter and I think Schlesinger's omission for the incredibly tense Marathon Man is a major miss. But my choice is Alan J. Pakula for All the President's Men without a single reservation. I think the greatest strength of Pakula's direction in the film is that it doesn't feel like there is too much of it. Obviously everything is completely thought out but the whole film feels organic, a very you are there and this is just happening vibe. He also gets brilliant performances from every member of the cast down to the smallest role. As I said above, I think Pakula's work is noteworthy here because of how well he manages a story that everyone knew. I'd absolutely put Schlesinger on my short list--Marathon Man is a textbook on how to make a thriller.